Calling all Francophiles! What do you love about France? The wine? The cheese? The art & culture? Us too! But did you also know that France boasts more than 1.6 million nonprofits and 3,899 foundations? That’s why we’re excited to collaborate with TechSoup Global to bring Google for Nonprofits to France. Ad Grants provides a $10,000 grant for nonprofits to raise awareness and target new audiences online. YouTube for Nonprofits and Google Earth Outreach provide rich opportunities for nonprofits to create interactive content and visualize their impact. Google Apps provides a range of enterprise tools -- from email to Google Docs -- that reduce technology costs and encourage collaboration. Many nonprofits in France are already taking advantage of these programs to recruit new volunteers, fundraise and raise awareness about their work. Google Ad Grants, for example, is one great way to drive more traffic to your site through AdWords. S.O.S Amitié is an anonymous listening service for those who suffer from loneliness, unhappiness or depression and who may be tempted to take their own lives. Volunteers are listening on the phone and the internet 24 hours a day, 7 days a week. The organization is comprised of 1600 listeners who respond to 700,000 calls per year in France (that’s a call every 40 seconds). Through Google Grants, S.O.S Amitié is able to gain better visibility on the web, attributing approximately 80% of their site traffic to Google Ad Grants Campaigns -- nearly 7,000 visits per month. S.O.S. Amité also has increased web applications for volunteers from 18 percent in 2009 to 46 percent in 2013. In addition, the organization has seen an increase in donations thanks to an ad campaign launched through Google Ad Grants. "This greater visibility on the web, the ability to easily adapt our messages to reach our goals, is a great help to fulfill our mission," said Maxime Bonin, S.O.S Amitié President. We’re impressed already by how nonprofits in France are raising awareness for their organizations using technology. Using the momentum that has been established by organizations such as S.O.S Amitié, we can’t wait to continue partnering with organizations in France starting with today’s launch. Visit Google for Nonprofits to learn more about the tools and join the program. We’ve revamped our YouTube Channel! If you’ve ever visited the Google for Nonprofits YouTube channel before, maybe it’s time to take a second look. Over the summer we re-launched our channel to optimize it for our audience - you! To transform the Google for Nonprofits channel, we thought long and hard about the needs of our nonprofit users, and followed several of the basic guidelines from the Creator Academy Handbook. What we did: We updated the first impression of our landing page by adding a trailer video, added compelling channel art and added social media links. Tip: Use channel art that is relevant and captivating to help tell your story, demonstrate impact or feature an anthem video, for example. Remember, it takes less than two-tenths of a second for an online visitor to form a first opinion of your brand (source: http://www.entrepreneur.com/blog/223150). Tip: Take a look at the content on your channel and see if there are any themes or similar threads that arise. Creating sections can help consumers find content quicker, which will give them more time to watch your content. What we did: We cleaned up the raw content on our channel, updated the titles to be consistent in formatting and wording, and ensured the thumbnails gave a glimpse into what the full video was about. For example, in this series of videos, Case Studies: Nonprofits using Google Tools, we edited to ensure that the faces of the nonprofit leaders were featured prominently. Tip: Tease out the story that your videos tell through the title, thumbnail and description. Think of these pieces, collectively, as your content’s billboard. A compelling video billboard can be the hook that attracts new fans who are looking for great videos and channels on YouTube. Check out a good example, here. Our team continues to work on more advanced YouTube optimizations that we hope will make the content more accessible and relevant to our users. As we continue to learn and iterate, we will share best practices with our community so that you can take some of the learnings and implement on your own channels. To learn more about YouTube Creator Academy, click here. Skybox joining Google we have a tremendous opportunity to leverage our imaging satellites for positive change in the world. Yesterday, at our annual Geo for Good User Summit, we announced the Skybox for Good program, under which we will contribute fresh satellite imagery to projects that save lives, protect the environment, promote education, and positively impact humanity. We’ve already begun supporting projects such as this, and we wanted to share some of the results. We have been monitoring sites critical to our understanding of global climate change, such as the Helheim Glacier in Greenland. The Harvard Humanitarian Initiative’s Signal Program has been using our imagery to help develop tools for Internally Displaced Persons camp management in Africa and the Middle East. Access to global satellite imagery through Google Earth and Maps has changed the way people see their world - from the cities they live in to faraway places. On the Google Earth Outreach team, we have witnessed the way these tools have changed how our partners do their work and tell their amazing stories. We’ve captured some images of Nagarkovil village in Northern Sri Lanka. HALO Trust previously cleared landmines in this area and used updated imagery to help verify that people are returning, having built 84 houses and cultivating over 40 hectares of agricultural land. In this beta phase of the program, we will select a small group of organizations and provide the imagery they need to accelerate their work. The images collected for these partners are being made available publicly, under a Creative Commons By Attribution license (CC BY 4.0), for everyone to see and use. We’ve already started collecting a few images, which you can see on this map. Check out the images in West Virginia, where SkyTruth and Appalachian Voices are monitoring and measuring the rapid expansion of mountaintop-removal (MTR) mining which is devastating forests and communities across Appalachia, visible in the image below, right next to the popular hiking trails of Kanawha State Forest. Google Earth Outreach gives nonprofits and public benefit organizations the knowledge and resources they need to visualize their cause and tell their story. In the future, we hope to expand the Skybox for Good program to allow many more non-profit organizations and public interest groups to benefit from the use of Skybox data. For more details visit the Skybox blog. Follow us @earthoutreach for updates as we expand the program. With Skybox joining Google we have a tremendous opportunity to leverage our imaging satellites for positive change in the world. Yesterday, at our annual Geo for Good User Summit, we announced the Skybox for Good program, under which we will contribute fresh satellite imagery to projects that save lives, protect the environment, promote education, and positively impact humanity. Google Impact Challenge. On issues ranging from ecological preservation, to homelessness, sanitation and solar power, Australian charities are proving that digital tools can have a transformative effect on an issue. That’s why today, we’re excited to take our commitment one step further by launching Google for Nonprofits in Australia. Australia has 60,000 charitable institutions, and many of them are already using Google tools. For example, The Australian Wildlife Conservancy (AWC) is using Google Earth Pro’s 3D mapping technology to demonstrate their impact to donors, community members, and a global audience. With twenty-three wildlife sanctuaries across Australia, AWC protects more native Australian animal species than any other non-government organization. Using Google Earth Pro, AWC is now able to take their supporters on a virtual “tour” of their sanctuaries around Australia and provide a broad overview of the scale and diversity of the wildlife and habitats they protect. Check out our case studies learn how AWC and other Australian NGOs are using Google for Nonprofits, and join the program. 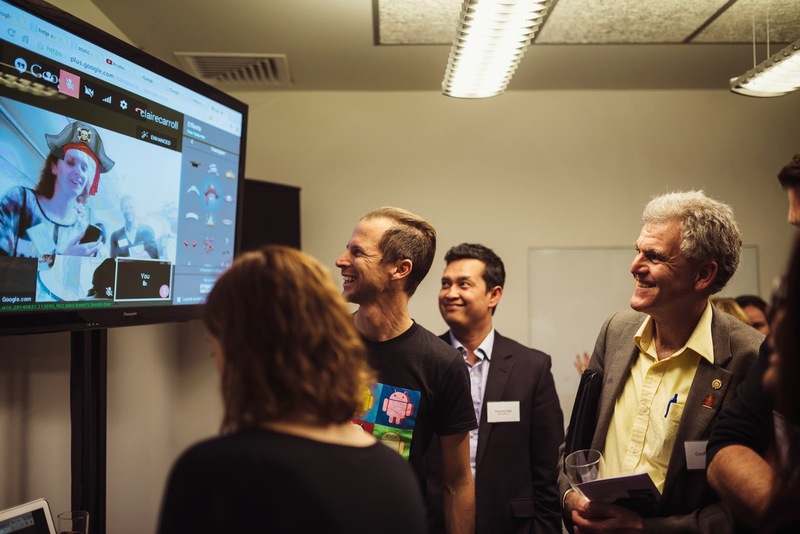 Over the past few months, we’ve been overwhelmed by the incredible energy and excitement of the Australian charities who have participated in the Google Impact Challenge. On issues ranging from ecological preservation, to homelessness, sanitation and solar power, Australian charities are proving that digital tools can have a transformative effect on an issue. That’s why we’re so pleased to be making Google for Nonprofits available here in New Zealand. Starting today, eligible community and voluntary organisations in NZ will now have free access to online marketing and technology from Google worth more than $120,000 each a year. Up to USD $10,000 of Google AdWords each month, so they can get their site in front of people who are searching for services like theirs. 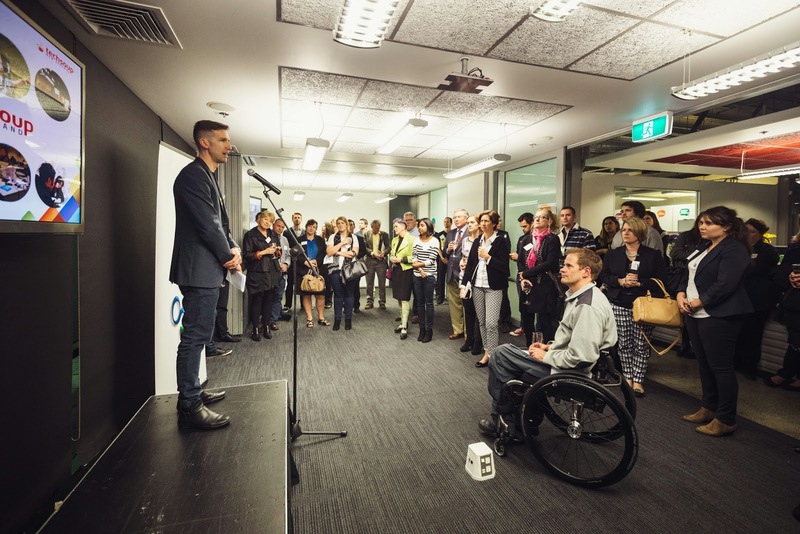 Last night, we officially launched Google for Nonprofits in New Zealand at the Mental Health Foundation. Various NGOs that are already leveraging some of Google's tools attended and shared best practices and insights into how best to use these tools. One presenter, Judi Clements, CEO of the Mental Health Foundation spoke about how Ad Words delivered a 25% increase in traffic to their website, the largest increase in traffic they have ever experienced. We want Kiwi charities to be as connected and collaborative as possible, so they can continue to do their great work changing the world. With Google for Nonprofits, they can have the same web tools as much larger, better resourced organisations, so they can do their great work more easily. For most Kiwi charities, the web is becoming a vital platform for improving visibility, raising awareness, and connecting with donors and volunteers. The big challenge, though, is how to make the most of this technology when there are so many competing demands for funding and resources. that pre-university exposure to Computer Science education is critically important for inspiring kids to pursue a career in computing. That’s why Google offers the RISE Awards -- grants of $15,000 to $50,000 USD -- to organizations across the globe working to promote access to Computer Science education for girls and underrepresented minorities. Our RISE partners are changemakers: they engage, educate, and excite students about computing through extracurricular outreach. In 2014, 42 organizations received RISE Awards—with projects ranging from coding clubs in Europe to web development camps in Sub-Saharan Africa. In April, we brought all of our partners together for a Global Summit that sparked resource sharing and collaboration amongst organizations. We’re looking for more partners in 2015. Submit your application by September 30, 2014 in English, French, Japanese, Russian or Spanish. All eligibility information is listed on our website. Technology has the power to change the world for the better, but today far too few have access to the education or encouragement they need to become creators, not just consumers. We know that pre-university exposure to Computer Science education is critically important for inspiring kids to pursue a career in computing. Google for Nonprofits to Japan. We’re big believers in the Internet’s ability to help nonprofit organizations find new donors and volunteers, as well as become more efficient in their work. Japanese NPO Katariba, for example, is an volunteer-led organization that provides career education and counseling for high-school students. Photo from NPO法人カタリバ | NPO Katariba, an organization using Google for Nonprofits. Before joining Google for Nonprofits, Katariba’s volunteer recruitment process was labor intensive for staff, and outreach required a large portion of their PR budget. Now, Katariba saves time and money by using their $10,000 per month Ad Grant to reach people who are already searching for “NPO job” or “education volunteer” on Google. Since joining the program, the organization has seen 35,000 new site visitors. We’re inspired by Katariba’s story and the amazing ways so many more nonprofits are using technology to aid their cause. We’re looking forward to supporting the work of more nonprofits in Japan. Japan has a growing and increasingly impactful nonprofit community—a 1998 NPO law invigorated the sector, and gave rise to the incorporation of more than 49,000 new organizations. Nonprofits like these are doing critical work for people in need, including recovery efforts for the 2011 Tohoku earthquake, and we want to do more to support them. That’s why today, we’re excited to collaborate with TechSoup Global to bring Google for Nonprofits to Japan. Canadian Registered Charities, Canadian Federal Nonprofits, and Canadian Provincial Nonprofits can apply to join the program, which offers access to our suite of free products and tools. Once your organisation is approved, you can get access to free Google Apps to cut IT costs and operate more efficiently, up to $10,000 a month in advertising on Google AdWords to reach more donors, and premium features for YouTube and our mapping technologies to raise awareness of your cause. We’ve also developed other online resources such as educational videos, case studies and other ways to connect with other nonprofits. We see the impact every day of nonprofits embracing the web - it’s literally transforming the way they work. Samasource has connected women, youth and refugees to meaningful work opportunities over the internet. Kiva funds millions of dollars in loans through online donations to entrepreneurs in need. We’re also seeing this in Canada. And Ladies Learning Code is one of many organizations in Canada using web-based tools to run a network of 6,000 volunteers to host code-learning workshops all over the country. We’re inspired and humbled by the amazing ways nonprofits are making the world a better place, and look forward to supporting the work of more nonprofits in Canada. Today, we are excited to work with TechSoup Global and TechSoup Canada to bring Google for Nonprofits to Canada. Canadian Registered Charities, Canadian Federal Nonprofits, and Canadian Provincial Nonprofits can apply to join the program, which offers access to our suite of free products and tools. We want to help you optimize your Google Ad Grants account before a crisis occurs, so you can get out information as quickly and widely as possible. We’ve provided four tips to prepare for future events and to make the most impact for those in need. Create a separate campaign for disaster relief, with ad groups for each type of disaster, such as hurricanes, earthquakes and floods. By organizing your account this way, you’ll have ads and keywords that are directly related to each other, allowing users searching on “hurricane relief” to be shown an ad directly about hurricanes. When a crisis strikes, you’ll now have template ad groups ready, so you can quickly edit ad text and add keywords to highlight that particular disaster. Having a separate campaign dedicated to disaster relief also allows you to allocate more budget to that campaign during times of crisis. You can use Google Trends to find top and rising keywords that people search on, such as “tornado relief” and “help tornado victims”. It can help you gather new keywords variations that you might be missing in your campaign to capture the most traffic. When a disaster strikes, you can quickly add more specific keywords to your list that include the disaster name or location, such as “Hurricane Andrew” or “Oklahoma tornado victims”. Google wants to help first responders like you and has created Google Crisis Response to help make your job easier and more efficient. For example, you can embed Google Person Finder in your website or contribute and share data with the Google Crisis Map. Learn more about the tools and resources for first responders at Google Crisis Response. Google Helpouts is a convenient way to get live help over video. No matter who you are, where you are or what time it is, you can talk to someone who can help you. You can browse categories or search on specific topics, such as help with your AdWords account or your other organizational needs. If you’d like to learn more about using Google Ad Grants for your nonprofit, check out our AdWords help resources. Or, if you’re new to Google Ad Grants, visit our site to apply. Nonprofits receive up to $10,000 per month in AdWords advertising to promote their missions and initiatives via text ads on Google search result pages. When a disaster strikes, nonprofits organizations like you are crucial in providing relief to people around the world.